Divest Now from Banks Financing the DAPL! "We have come together across the lines that divide us, and gathered in solidarity to demand an end to 500 years of oppression of Indigenous peoples - to demand respect for Mother Earth and clean water for all our relatives and future generations. We absolutely cannot let this transition break us apart. We must stay together, we must keep building momentum. As warriors, we must be flexible and agile. We must adapt to shifting circumstances without pause. ...The 17 banks that are profiting off investments in the Dakota Access pipeline...Shut these banks down with direct action. Close your accounts and tell the world you’re doing it. Pressure your local jurisdictions and philanthropists to divest. Every day is a day of action. This fight is not over, not even close. In fact, this fight is escalating. The incoming Trump administration promises to be a friend to the oil industry and an enemy to Indigenous people. ...Now more than ever, we ask that you stand with us as we continue to demand justice." In March 2017, we started a divestment team. We focus on personal and institutional divestment from the Dakota Access Pipeline (DAPL) and other fossil fuel investments to break the stranglehold the fossil fuel industry has on our democracy and our environment. Institutional divestment requires a public bank. So we work closely with the Public Bank Santa Rosa work group. We meet on the same day to facilitate working together. Click for more information. How Dirty Is Your Bank? Is your money being used to fund climate change? Select your bank on the BankOnGood.com site and see how the major banks are using your money to invest in the dirtiest fossil fuel projects on earth. NOTE: when you click on one of the banks, the dollar amounts at the top and lower down take a minute or two to update. Check out ﻿﻿BankTrack﻿﻿ as well: "The mission of BankTrack is to promote fundamental changes in the operations of banks so that, while conducting their business in a fully transparent and accountable manner, they contribute to the ecological wellbeing of the planet and to offering a decent life free of poverty for all people." 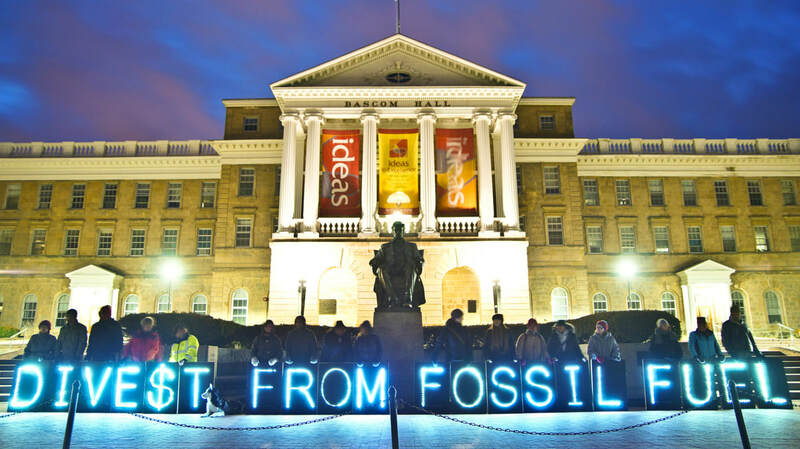 We have sample divestment letters on the Petitions & Letters page you can use. There’s an entire industry of ethically minded banks and financial institutions out there to choose from. This article recommends BankLocal.info to check out and compare banks. Over a dozen affinity credit cards that benefit non-profit organizations such as Sierra Club, Amazon Watch, the League of Conservation, Green America, Clean Water Action and many more - recommended by Green America. Most of these affinity credit cards are with Beneficial State Bank, a socially responsible bank, founded by "inconvenient billionaire" Tom Steyer and wife Kat Taylor. Though this article is a few years out of date, it lists local banks in Sonoma County. We are talking to the Gazette to ask them to update the article. There are many financial advisors who when asked about fossil free investments and socially responsible investments in general will give it a nod, but most do not seriously help investors to move their money. For example, huge investment firms such as Fidelity Investments which handles many retirement funds, offers little or no option for fossil free investment. Andy Schexnaydre is a socially and environmentally responsible investment advisor as well as Dale Wannen of Sustainvest. Both have been recommended to us.